Nothing is over until we say it's over! These famous words, yelled emphatically by Bluto Blutarski, can and should be uttered by any fantasy commissioner forcing his leaguemates to play for anything meaningful in Week 17. 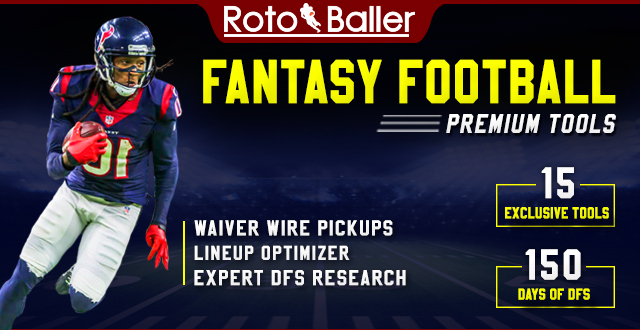 If you are in need of lineup help for the most unpredictable set of games on any day of the sports year, I'm still here to offer my best educated guesses as to who will blow up and who will simply blow. 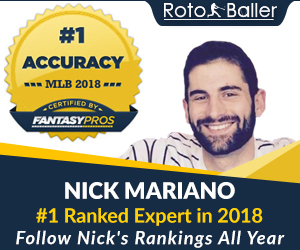 If you're here for DFS advice, you've also come to the right place. While I won't get too detailed into prices and game types, I will recommend some viable tournament plays that could help you cash in a week filled with uncertainty. Now, let's get to my fantasy "heroes" and "zeroes" at each position for Week 17 of the NFL season. 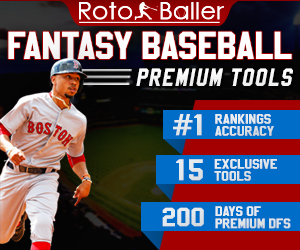 For a full set of rankings, look no further than our very own RotoBaller consensus weekly rankings. Jacoby Brissett, Indianapolis Colts - This year's place-holder for Andrew Luck never came close to replicating the value that was supposed to come from the QB position in Indy. Other than a three-game stretch in the middle of the season when he threw two touchdown passes in each game, Brissett hasn't had a multi-TD game otherwise. In the last five games, he's been downright unplayable even in two-QB leagues. Why even consider him as a deep tournament play then? For one thing, he's had a tough schedule down the stretch, facing the likes of Jacksonville, Baltimore, and Denver. This week it's the Texans, who have a chance to finish as the worst defense against quarterbacks over the course of the season. The last time Brissett faced Houston, he had his best game of the season, throwing for 308 yards and two TD. If you believe that personal motivation and sideline narratives matter, this could be coach Chuck Pagano's last game as the Colts' coach, which could serve as motivation for his players. Brissett is only playable in deep two-QB leagues and tournaments, but he could be a high-end DFS value in a wholly unpredictable week. I certainly trust him more than Pat Mahomes, who hasn't thrown a pass in a regular season game. 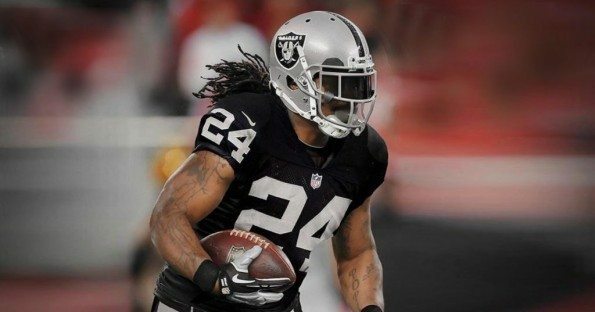 Marshawn Lynch, Oakland Raiders - A bit too late now that the Raiders are out of playoff contention, but Lynch is playing his best ball in December. His last three games have resulted in his top three rushing games of the season. He's also scored three TD in the last five games. While a veteran like him normally wouldn't play much in a meaningless season-ending game, this could be a different situation. Lynch could be playing his last game in the NFL if he chooses retirement again. If so, the team might choose to give him the chance to put together a big game and spare their franchise QB from taking any punishment. For what it's worth, he's ridiculously cheap on DFS sites this week. Jamaal Williams, Green Bay Packers - The following formula has proven to be true over the 2017 season: Aaron Rodgers at QB=no consistent run game for Packers. Brett Hundley at QB=Jamaal Williams as RB2 value. Williams had gotten into a good groove, but when A-Rod returned, he was suddenly ineffective because he saw just 10 carries against Carolina. Last week's dud was mostly a result of facing an incredibly tough Minnesota defense. This week, Williams should get plenty of run against a depressed Detroit team that should see some second-string players on the field and could have a lame duck coach in his last game. He'll also have the backfield to himself, as Aaron Jones suffered a knee injury last week. Williams could return to RB2 value for one final week. Kelvin Benjamin, Buffalo Bills - It's tough to trust Benjamin, who in his brief tenure with Buffalo has missed two games and enters this week with a questionable tag once again. All signs point to him suiting up, with the team needing a win to clinch a Wild Card spot. The good news is his best game as a Bills receiver came last week, as he posted five receptions for 70 yards against New England. The bad news is that his worst game came against this week's opponent, Miami, when he caught both his targets for 20 yards in Week 15. He was primarily used as a decoy in that game, where he didn't appear to be 100%. If he is better off than he was a couple of weeks ago, he should be relied on heavily near the red zone. Miami has the third-worst defense in terms of red zone scoring percentage at 64%, so when the Bills get close, Benjamin has a great chance to pull in a score. 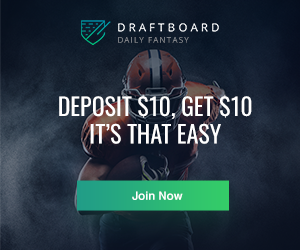 Demaryius Thomas, Denver Broncos - Having Paxton Lynch slinging the pigskin might cause DFS players to avoid the Broncos altogether, especially when facing a playoff-bound team like Kansas City. A closer look at the matchup favors Denver in every way, however. The Chiefs are already resting Alex Smith and could bench several other starters on both sides of the ball, especially considering their tough history of injuries in Wild Card games. Emmanuel Sanders is hurt and unlikely to play, so Thomas will be Lynch's crutch. If nothing else, the team may acquiesce to Thomas and his personal goal of trying to reach 1,000 receiving yards for the sixth straight year. He needs 108 yards to hit that mark. Facing a vulnerable Chiefs secondary that could be giving time to backups might raise the chances he actually comes through. Charles Clay, Buffalo Bills - Clay is familiar with Hard Rock Stadium, having played his first four seasons in Miami. In five career games against his former team, Clay averages 54 yards (fourth-highest of all opponents whom he's faced more than once), and has three touchdowns (tied for first with the Jets, whom he's faced 11 times). Clay has been heavily involved as of late, seeing 19 targets in the past two games. The Bills are shaping up to be a nice team to stack against a Dolphins team that looks suited to finish last place in the AFC East. Derek Carr, Oakland Raiders - I touched on this earlier, but with all the money invested in the younger Carr's right arm, I find it hard to believe they'll leave him exposed for Joey Bosa and company to feast in Week 17. Even if he plays all game AND throws it 30+ times, he'll be on the road facing a Chargers team that has forced more interceptions (17) than touchdowns allowed (16). He's a strict avoid this week. With an improved receiving corps (presumably) and another offseason of experience under the belt of Mitchell Trubisky, Howard could be even better next season. That said, he shouldn't be touched in the season finale. The Vikings are THE toughest team against running backs and will be plenty motivated to retain the No. 2 seed and a first-round bye. Randall Cobb, Green Bay Packers - This week Cobb will be featured, as The Last of the Mohicans in Green Bay. Both Davante Adams (concussion) and Jordy Nelson (shoulder) are unlikely to play, so if you consider that Aaron Rodgers and Ty Montgomery are on IR and Martellus Bennett is with New England, that means Cobb is the only starting skill player from Week 1 that's still playing for the Pack. One line of thinking is that he'll see a bump in targets this week, but he just hasn't shown that he can produce with Hundley at QB. 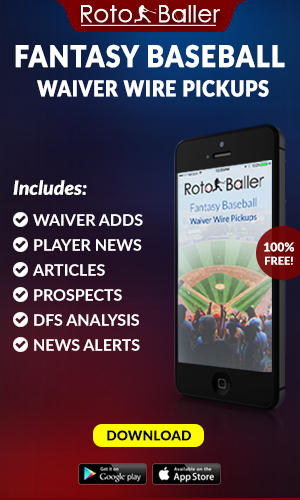 He is likely to be heavily owned by DFS owners with the same expectations of a high target total. Save your dollars for someone in a better offensive situation. Austin Seferian-Jenkins, New York Jets - You probably already figured out to stay away from Travis Kelce this week, as he's likely to sit out the second half and will have a rookie QB playing all game. A slightly less obvious piece of advice: Austin Seferian-Jenkins is not a viable fantasy play. Even before Bryce Petty took over ASJ was well into his current eight-game scoreless streak. On top of that, he's only gone over 30 yards once since Week 6. The temptation of New England's defense on the schedule shouldn't sway you any--they've actually allowed the ninth-fewest fantasy points to tight ends this season. It was a nice little run, but any usefulness that fantasy owners gleaned from Jets players has come to a clear end weeks ago along with their remote playoff hopes.